National Steak and Poultry distributed their ready-to-eat cooked chicken to several other companies who used the chicken in their products. However, the chicken was undercooked, according to the U.S. Department of Agriculture’s Food Safety and Inspection Service (FSIS). In a statement made Friday, the FSIS expressed concern that National Steak and Poultry’s undercooked chicken was not recalled soon enough, being processed into other products. The chicken was shipped nationwide to warehouses, distributors, and retail locations. The initial recall on November 23rd is followed by an expanded recall on December 4th. View a complete list of the products here and product labels here. The FSIS has issued a public health alert for establishment numbers P-18356, P-2539B, P-1682A, and P-17417 located inside the USDA mark of inspection. Any recalled products should be returned to the place of purchase. No sicknesses have been reported in relation to the aforementioned products. A large volume of chicken was recalled, 922 tons. Complicating matters further was the number of different establishments who received the chicken. Recalled chicken was used as an ingredient in other products (above). Establishments using the chicken in their secondary products were not aware of the safety hazard and processed it into other products. Used in secondary FSIS-regulated products, undercooked chicken can contaminate the final product and sicken consumers. FSIS plans to conduct effectiveness checks to thoroughly root out contaminated products. The problem was originally spotted on November 14th when a food service customer complained that a ready-to-eat product appeared undercooked. 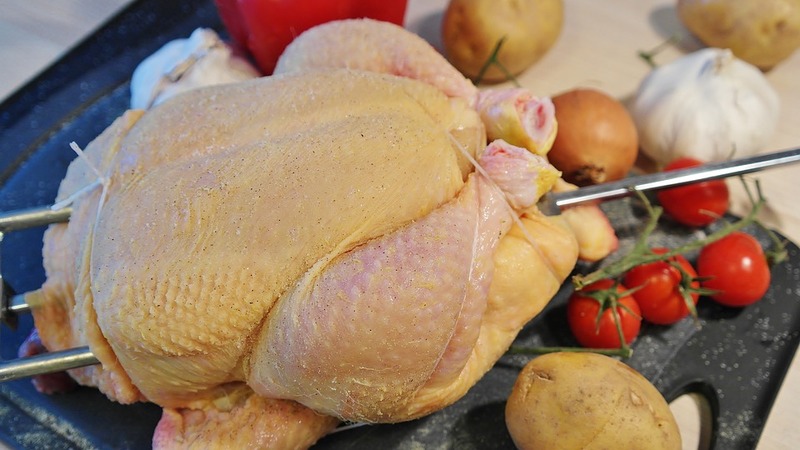 Improperly cooked chicken can harbor harmful pathogens, namely Salmonella.